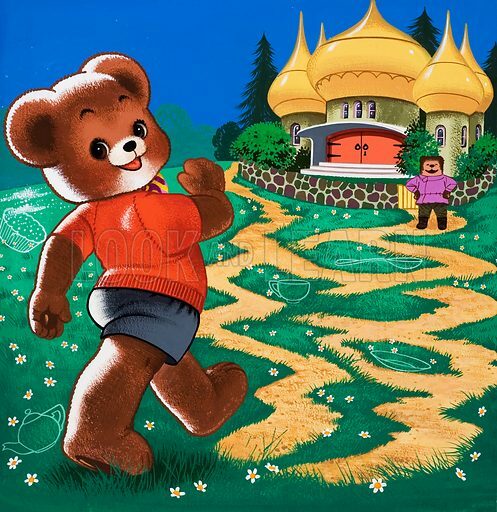 Teddy Bear approaching exotic cottage (with hidden objects). Original artwork for Teddy Bear (issue yet to be identified). Available worldwide for immediate download up to 3,943 x 4,058 pixels.